Thousands of people packed Castlebar's Main Street to get a second helping of the Mayo Street Food Festival last Sunday. The event built on the success of last year's inaugural outing and served up an incredible afternoon of delicious fare that celebrated local produce at its finest. Castlebar's Main Street was full of mouthwatering morsels and aromas as restaurants and producers joined forces to treat festival-goers to some incredible food and Main Street even had its very own roof as the purpose-built canteen-style area was enclosed by a big red tent. The heart of the town was buzzing as thousands clamoured to try some of the tantalising treats dished up by talented chefs from the locality. The street was lined with stalls from some of Mayo's top food producers and the whole day was soundtracked by the grooves provided by DJ Finbar Hoban. Local traditional musicians and dancers kept the crowds entertained in between mouthfuls of glorious grub. House of Plates, The Dining Room, The Brewery Cup, Rua, Bar One, The Yew Tree, Mulroy's and the Bay Leaf cooked up a storm and filled the of their many hungry customers. Meanwhile, Becca's Bakery, Thunder Road Cafe, Jackie Meenaghan's dillisk, Cups and Crepes, Clew Bay Cookies, Lough Measc distillery, Marco Crisps, Noo Chocolates, Nora's Fudge, Mack 'n' Spud, Glasrai, Moycullen Green Foods and Candy Floss Mayo, illuminated the street with their inviting stalls. 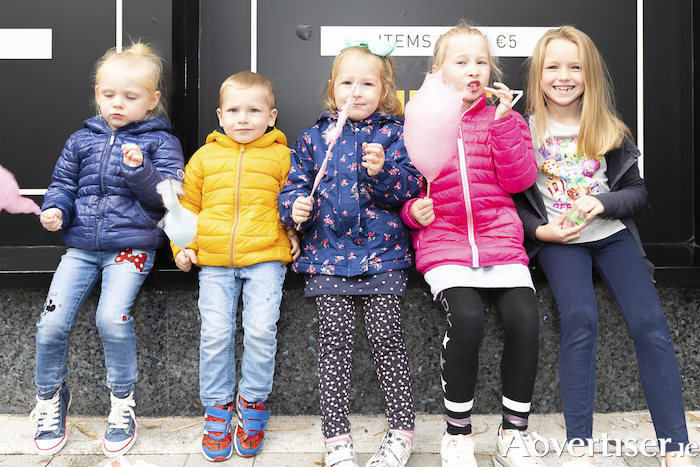 The weather was kind to this year's event and the Mayo Street Food Festival paid tribute to the local community and everyone who attended the festival. They also issued their gratitude to their incredible volunteers, local businesses and organisations who provided a helping hand to ensure the festival ran smoothly. The Mayo Fire Service, Castlebar Gardai, St John's Ambulance, Love Castlebar, McGrath's Waste, Mayo County Council and Castlebar councillors, local bars, cafe's and restaurants backed and supported the festival and made this a true community event. The festival is spearheaded by local businesswomen Sarah Ní Shúilleabháin and Siobhan Foody. “We are so thankful to everyone who came out and supported the festival again this year. It was great to see so many happy faces and full bellies,” said Foody. “A special words of thanks to all the volunteers, bars, cafes, restaurants and producers for their efforts in making the festival a success. We are delighted with how everything went and are looking forward to making the festival even bigger and better next year,” added Ní Shúilleabháin .